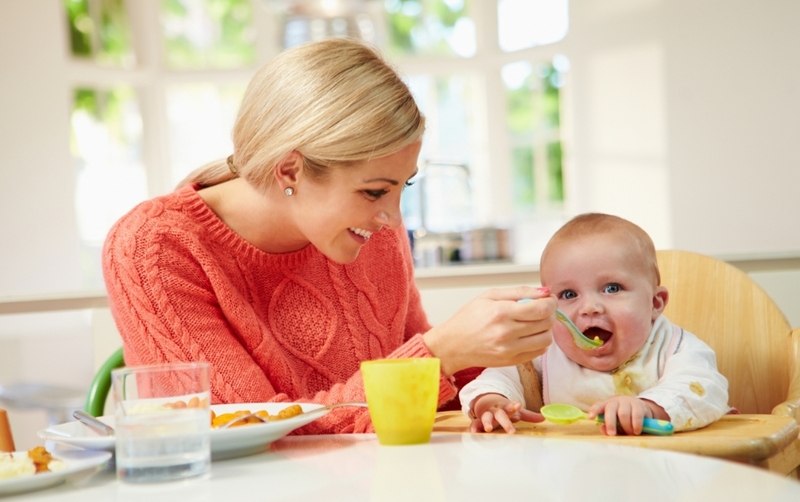 Avocado is a great first food for babies and corn adds a touch of sweetness to the taste. Try this simple recipe for making your own baby food at home and freeze the leftovers for a later meal! 5) Place avocado, corn kernels and teaspoon of breastmilk, water or formula in a blender and blend until creamy and there are no kernels remaining. This recipe should only be used for babies six months of age and older. If your child has a history of eczema, asthma or food allergies, check with your pediatrician before serving. This baby food can be frozen for up to four weeks. Cloth diapering has made a comeback in recent years with more and more moms and dads looking for earth conscious ways to live and to parent. Many still feel however that committing to disposable free diapering sounds overwhelming, messy and labor intensive. If you’ve got a baby on the way and you are beginning to prepare your nursery, you may be starting to consider questions like whether to use cloth or disposable diapers. Let’s take a look at some of the pros and cons of both so that you and your partner can make the best decision for your baby and your family! Cloth diapers come in a variety of different forms from all-in-ones, to pockets, prefolds, fitted and hybrid diapers. There are even special cloth diapers for newborns, swimming and potty training. Your financial investment in diapers can be as little as $300 for your baby’s diapering years. Choosing cloth diapers eliminates as many as 6000 diapers per year from landfills. You will never run out of diapers, have to take out diaper trash, or spend money on diapers after your initial investment. You can reduce your baby’s exposure to harmful chemicals by choosing cloth over disposables. Because of their adjustable fit and stronger elastic, cloth diapers can often contain messes more efficiently. Choosing cloth can help reduce the amount of greenhouse gases released via the production and distribution of disposable diapers. Cloth diapers come in an endless variety of fabrics, colors and cute patterns from which to choose. Cloth diapering may make potty training easier as your baby will more easily notice when their diaper is wet. Cloth diapers may reduce the occurrence of diaper rashes. You will need to do additional 2-3 loads of laundry per week with cloth diapering. This can in turn increase your water and electric bills. If you choose to use a cloth diaper service that picks up, washes and returns your diapers clean, you may spend up to an additional $3500 per year. Unless you are using the all-in-one cloth diapers which are more expensive, cloth diapers can be more burdensome to change. If your baby has a messy cloth diaper while you are out and about, you will have to carry the dirty diaper home with you. You will need to change your baby’s diaper more frequently in cloth. Disposables are easy. You put them on, take them off and toss them. Disposables usually have better absorbency which means less frequent diaper changes. Disposables are more convenient when you are away from home. Disposables have a size for every baby, from newborn through toddlers. They also make disposable overnight diapers and swim diapers. There are more environmentally friendly disposable options if you are willing to spend a little more money. The cost of using generic disposable diapers over a two year period is approximately $1400. If you choose more environmentally friendly disposables, your cost may be as much as $2500. Disposables contain a chemical called dioxin which is a known carcinogen. While there have been no studies showing that disposables are harmful to babies, if you are concerned about exposure to chemicals you may wish to choose cloth diapering instead. There are 20 billion disposable diapers thrown away each year which take approximately 500 years to decompose. In addition to dioxin, disposable diapers may contain petroleum, plastic, wood pulp and perfumes. Disposables may irritate baby’s skin causing more frequent diaper rashes. There is no right or wrong answer when it comes to your decision about how to diaper your baby. As with most parenting choices, it is a personal preference and your decision should reflect what feels right for your family. You can also always try both methods to see which works better for your baby. For all your questions about cloth diapering, please join us for our class with Do Good Diapers on February 8, 2016. We are here to help you prepare for the arrival of your little one!